NEW YORK -- Martin Shkreli wants to buy Kanye West's new album for $10 million, and he doesn't want anyone else to own the album but him. Shkreli Tweeted on Wednesday an official letter he says he sent to Kanye in hopes to buy the album. "I am writing to you in hopes of convincing you to withhold the release of your forthcoming studio album," the letter read. "Instead of releasing this product to your millions of fans, I ask that you sell this recording solely to me." Kanye was expected to debut his new highly anticipated album "The Life of Pablo," at his Yeezy Season 3 fashion show on Feb. 11 at New York's Madison Square Garden. Shkreli claims on Twitter that his request will delay the albums release by a few days. Shkreli is the owner of the only copy of Wu-Tang Clan's album "Once Upon a Time in Shaolin." 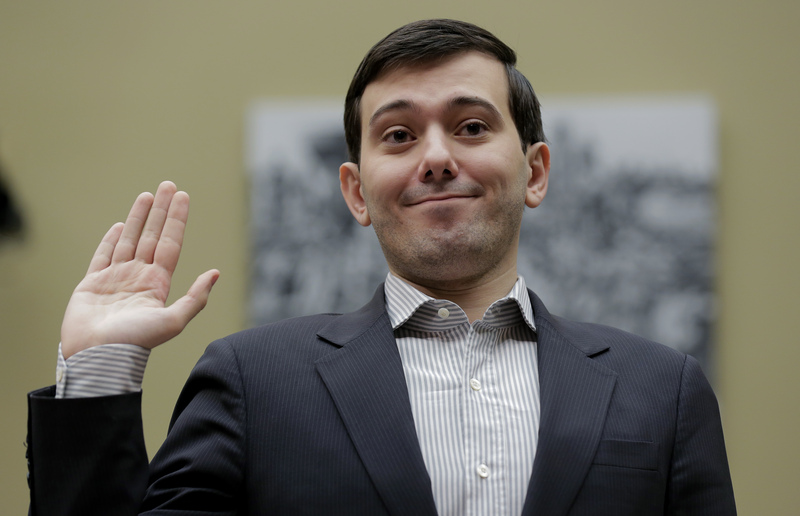 Shkreli reportedly purchased the album for $2 million in December. The former hedge fund manager and drug company CEO faces securities fraud charges unrelated to the controversy that erupted after Turing Pharmaceuticals, the company he founded, hiked the cost of a life-saving pill from $13.50 to $750. Last week, Shkreli showed up for a congressional hearing on drug costs in Washington, D.C., only to plead his Fifth Amendment right against self-incrimination in repeatedly declining to respond to questions. While refraining from answering lawmakers, Shkreli did turn to social media to express his views shortly after leaving the hearing. He even took to the social media site, Blab, to take questions from the general public via video.